Michael Gibbs has mastered the art of teaching the business and education skills students need to compete globally. He has more than 30 years of experience working in the education industry as well as Fortune 500 companies such as General Electric and Texas Instruments. An industrial psychologist, he has designed and led high potential executive training programs worldwide, with topics ranging from international negotiation to business process innovation. Michael has taught thousands of executives in 22 countries for the MBA program at the Haas School of Business, UC Berkeley, and Notre Dame, and has been an adjunct professor for Penn State and UC Berkeley. Peggy and Michael co-founded BizSmart Global to deliver the best in entrepreneurial project-based learning worldwide, as well as Scientia Schools, Inc., an innovative model of national independent high schools. Like all their endeavors, these were inspired by a shared belief in the importance of teaching entrepreneurial skills and great thinking to our young people, augmented by values of courage, character, and citizenship. Their vision is to equip students to thrive and become essential leaders, ready to take on future challenges and opportunities in the fast, flat global economy. The Advisors of Camp BizSmart’s youth entrepreneurship program include executives from respected companies like Apple, Google, and Cisco. Students receive their mentorship on highly relevant topics such as idea generation, customer requirements, budgets and cash flow, collaboration, and communication skills. 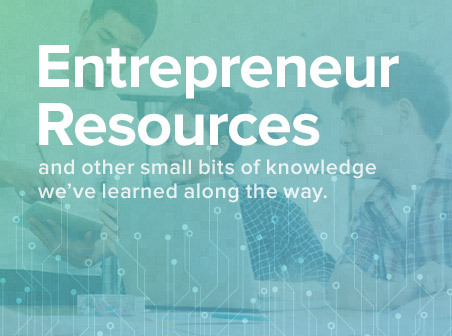 Our Advisors include accomplished problem solvers and founders of successful companies, so they speak from experience when they inspire students to dream big, work hard, and play by the rules. Their real-life experience is one of ways Camp BizSmart truly distinguishes itself from other business summer camps. Cristina Banks is a professor at the Haas School of Business at UC Berkeley, with expertise in human resources practices, and has served as the Director Undergraduate Programs for the Haas School. She has consulted with KIPP Charter Schools and was an early supporter of Bright Horizons Preschools. Through her career, she has founded, grown, and sold several businesses such as Right Management Consultants and Terranova. Cristina has served on several corporate boards, including Whole Foods. 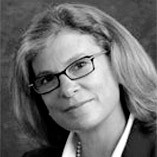 She currently sits on the Advisory Board of Leadership California and is president and founder of Lamorinda Consulting LLC. Manish Chandra is the CEO and Founder of Poshmark. Prior to that, he was CEO and Founder of Kaboodle. Earlier, Manish was the VP of Marketing at Versant and part of the executive team at Versata that took the company public. 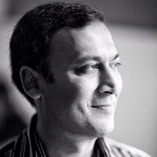 Additionally, Manish has held R&D and Product Management roles at Sybase and Intel. 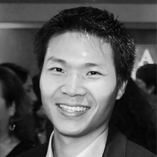 George Chao is the Co-Founder of SVIEF (Silicon Valley Innovation & Entrepreneurship Forum) and is the Regional Manager for Manex, with 10 years of business development experience in the cleantech and high tech manufacturing areas. He assists companies in finding capital resources and developing business strategies with a focus on the fields of bio, technology and renewable energy manufacturing. He also spent six years as an IC Design Engineer at the Lawrence Berkeley National Lab, working with a team of scientists and physicists on several important energy and physics projects. He is also the VP of the US China Green Energy Council. Menko Deroos cofounded Xicato Inc. in July 2007 and serves as its Chief Executive Officer. 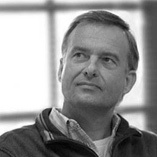 Menko joined Philips Lighting in 1989 where he held executive roles responsible for operations in Belgium and plant management in China. In 1996, he moved to Italy where he became CEO of Alpignano Lamps, global leader in appliance lighting, running his first global business. Moving to Silicon Valley in 2000, at Lumileds, he transitioned from successfully growing the traffic signaling business as Business Unit Manager, to building and leading a unique and diverse team for 4 years as Executive Vice President of New Business Development, bringing the world’s first LED TV backlight, cellphone flash and automotive forward lighting to market. He then transferred in early 2005 to Malaysia, responsible for the fast growing Lumileds’ operations. Menko has a Msc ME/Industrial Robotics from Delft University of Technology (NLD). 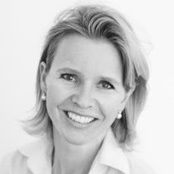 Maigread Eichten is a principal at Alitum Partners where she is working with investors and entrepreneurs on identifying growth strategies and implementing change platforms. Maigread has over twenty years of experience in consumer goods specializing in beverages, food, and health and wellness. 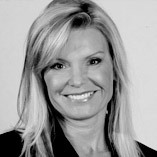 Maigread is the former CEO and President of the FRS Company, a producer of health and wellness products. Prior to joining FRS, Maigread served as General Manager of VeriSign’s Global Digital Brand Management business unit and Chief Marketing Officer for the communications services division of the Internet infrastructure services company. Before her work with VeriSign, Maigread was vice president of marketing and strategic alliances at Webvan, the online delivery grocery business. Maigread held executive positions of increasing responsibility over an 11-year period at the Pepsi-Cola Company. Sonja Markova is Executive Director of the Band of Angels, Silicon Valley’s oldest angel investment group. Since 1994, the Band has invested in over 300 companies with 61 profitable M&A exits and 11 IPOs. Previously, she was Vice President of Point Reyes Management, an asset management firm investing in early stage ventures, multifamily real estate, and the financial markets. Her primary focus was sourcing and evaluating investment opportunities for the firm’s super angel fund. 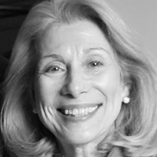 Sonja was a key person on the Keiretsu Forum team for 12 years. Founded in 2000, Keiretsu Forum is the largest global angel investment network with 52 chapters on 3 continents. She has previous work experience with Tiburon Research Group, Contra Costa Software Business Incubator, and Republic of China’s ICDF Equity Investment Fund for small and medium-sized enterprises in Macedonia. Sonja holds BS in Management from the University of St. Cyril and Methodius in Macedonia. She earned an MBA in Finance and New Ventures Management and Certificate in Marketing from California State University, East Bay. Sonja is an alumni Ron Brown fellow. The Ron Brown Fellowship is a U.S. Department of State program that supports young professionals from Central and Eastern Europe. Harry Motro has had a varied and successful career as a multimedia artist, author, and former CEO of Infoseek, an Internet search and software company, which was sold to Disney. He also started CNN Interactive and ran his own venture firm. Harry has a deep understanding of the creative process, particularly as it applies to producing entertainment. He also spent time working in television (TBS, CNN, TNT, Cartoon Network), movies (MGM/UA), and animation (Hanna-Barbera). At Infoseek, Harry served as President (April 1997 – December 2002) and Chief Executive Officer (May 1997 – December 2002). There he developed two main businesses, one focused on consumers, and one focused on corporate opportunities. Before joining Infoseek, he served as Senior Vice President of Cable News Network, Inc. in charge of CNN Interactive and News Business Development (1995 – 1997). From 1988 to 1995, he served in several Executive positions with Turner Broadcasting Inc. and CNN, including Director, Special Projects and External Reporting, Assistant Vice President, Finance, and Vice President, Business Development and Strategic Planning. 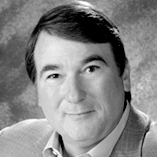 From 1982 to 1988, Mr. Motro served as Manager, Audit Services, with Coopers & Lybrand LLP. From January 2000 to December 2002, he was president of Motro Ventures, a small-capital investment fund working with start-up companies in the wireless and software sectors. He held a number of senior management positions with Time Warner Inc. and its affiliates from 1988 to 1997. He has been a Director of Pinnacle Systems Inc. since July 2003. He served as a Director of Infoseek Corp. since May 1997. He also served as a Member of Committee overseeing GO! Network. 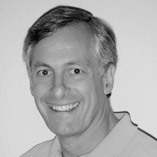 Bill Reichert is Managing Director at Garage Technology Ventures, a seed-stage and early stage venture capital firm based in Palo Alto. Garage makes focused investments in promising early-stage technology companies and works intensively with them to help them grow and succeed. Prior to joining Garage in early 1998, Bill was co-founder of Academic Systems, a software company funded by Kleiner Perkins, Accel Partners, and Microsoft. Academic Systems became the leading developer of network-based multimedia instructional materials for colleges and universities, and was acquired by Plato Learning (NSDQ: TUTR). 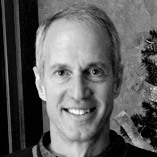 Prior to Academic Systems, Bill was a senior executive at several venture-backed technology companies, including The Learning Company, which was the leading developer of educational software in the United States before its acquisition in 1994, and Infa Technologies, a pen-based computer company that developed many of the concepts underlying the Newton, Palm, and iPhone devices. Bill also co-founded Trademark Software, which was subsequently acquired by Dow Jones, while in graduate school at Stanford. Earlier in his career, Bill worked for McKinsey & Co., the international management consulting firm, the World Bank in Washington, D.C., and Brown Brothers Harriman in New York. He has authored and co-authored several articles and speeches on entrepreneurship, venture capital, international trade, and monetary policy. He is a current member of the Council on Foreign Relations in New York, and is a former Chairman of the Churchill Club in Silicon Valley. 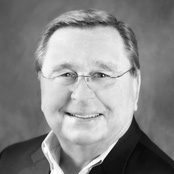 Art Reimers is a strategic Human Resources executive and entrepreneur. He combines more than 30 years of experience in implementing large scale people change in Fortune 500 companies and extensive start-up product positioning and sales experience in the talent management area. Art has served as an HR executive in companies including Bank of America, American Airlines and American President Lines. He was an early pioneer in people analytics as one of the original founders of Success Factors and has been on both sides of acquisition transactions as an executive team member and due diligence participant. Art balances his business life with applying his talents to charitable institutions as a board member and consultant. Art holds a BS in Psychology from Iowa State University. 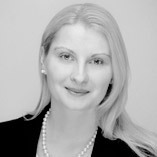 Nina currently serves as the Managing Director of BizSmart Global Europe. Nina is an Angel Investor at Reinhart Capital in Zurich, Switzerland. As a Senior Advisor at UBS for nine years, she accelerated UHNW and institutional clients’ acquisition in Europe and Emerging Markets. During her Silicon Valley years, she was Director of Partnerships for a marketplace created by i2 Technologies and Frogdesign. For five years at Nestlé, Nina turned around operating companies in Latin America, Africa and Europe. She earned an MBA from Babson College and a MSc in Anthropology from Université de Montréal. As a passionate advocate of developing entrepreneurial spirit early in life, she became the European Ambassador of BizSmart Global in 2016. Paul Witkay is the Founder and CEO of the Alliance of Chief Executives. Since 1996, the Alliance has been helping CEOs solve their most profound strategic challenges. They gather leaders from virtually every industry and market sector to engage in confidential exchanges that typically would not, or could not, take place anywhere else. Paul sees a kinship between Camp BizSmart and the Alliance of CEOs. Specifically he appreciates how the Camp BizSmart curriculum similarly creates collaborative learning environments for young entrepreneurs, fosters a thirst for learning, and enables these students to be successful in whatever they choose to do in the future. Paul has over 25 years of diverse management and senior executive experience, ranging from ownership of a highly successful executive search and consulting firm to senior executive positions for a $6 billion international manufacturing organization. His personal experience in strategic planning and business management with companies of all sizes has helped to create an incredibly diverse organization. Paul began his career in the process industries for Amoco Oil Corporation and Dow Chemical. 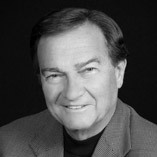 In 1979, Paul founded Witkay Associates. Witkay Associates provided professional support to key executives matching individual goals to business opportunities. Subsequent to his development of Witkay Associates, Paul joined Air Liquide Corporation, the world’s leading producer of industrial gases, where he served in a variety of executive positions. Among Paul’s numerous responsibilities was the leadership of VitalAire Corporation in the United States. Under Paul’s leadership, the VitalAire organization was recognized for achieving the highest standards of quality in the industry.